The Kim Dotcom "big reveal" is out - an email which purports to show New Zealand Prime Minister John Key involved in a plan to get Dotcom into New Zealand so he could be extradited to the United States, contrary to every assurance Key has ever given about his prior of knowledge of Dotcom. The Kim Dotcom “big reveal” is out – an email which purports to show New Zealand Prime Minister John Key involved in a plan to get Dotcom into New Zealand so he could be extradited to the United States, contrary to every assurance Key has ever given about his prior of knowledge of Dotcom. The Kim Dotcom “big reveal” is out – and has almost immediately been dismissed as a fake. The “reveal” is an email which purports to show Prime Minister John Key involved in a plan to get the internet entrepreneur into New Zealand so he could be extradited to the United States. It is the evidence which Dotcom is planning on producing at the Moment of Truth event tonight. It is also contrary to every assurance the Prime Minister has ever given about his knowledge of Dotcom. The source of the email is shrouded in mystery and there are likely to be arguments over its authenticity. It is is dated October 27, 2010 and is purported to be from Warner Brothers chairman and chief executive Kevin Tsujihara to a senior executive at the Motion Picture Association of America – the lobby group for the Hollywood studios. Mr McGuire said Warner Bros had conducted a “thorough internal review” before dismissing the email. The review would have taken place in just over two hours between the Herald asking questions of the studio and the response. He said in all the meetings he had with Mr Tsujihara there were other people present. Asked if he had asked the Warners’ executives about it, he said he was only made aware of it a few minutes earlier. “So, yeah, we’ll go and ask them. But look, I’d never heard of the guy. I hadn’t been briefed on the guy. • Who is the Hollywood exec in Doctom’s big reveal? He again denied he was involved in the plan to have Mr Dotcom extradited. 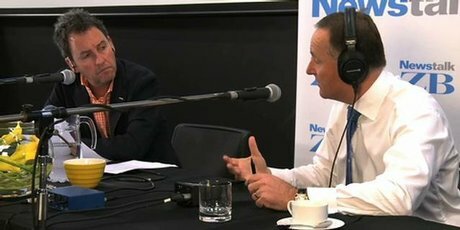 Mr Key has previously said he had no knowledge of Dotcom before January 19, 2012, the day before the tycoon was arrested by NZ Police acting on behalf of the FBI. In a statement this afternoon, Mr Key said he stood by his statements that he did not know about Dotcom until then. “The conversation allegedly reported on in the email did not take place,” Mr Key said. Labour leader David Cunliffe said Mr Key must release all minutes, notes, briefings and emails relating to his meetings with Warner Bros. In a statement, Mr Cunliffe said if the email was true, it meant Mr Key had “lied repeatedly to the public and would be grounds for him to resign”. Mr Cunliffe also called on Mr Key to release the full Immigration New Zealand file on Dotcom. He said Mr Key had been evasive for years about his October 2010 meeting with Warner Bros executives at Premier House. “John Key must now show New Zealanders he has been acting appropriately by releasing evidence to back his claims,” Mr Cunliffe said. The Herald has confirmed that the content of the email is the same information Dotcom is fronting this evening at the public meeting. It is not from the cache of documents brought to New Zealand by journalist Glenn Greenwald, who is also speaking at the event to allege Mr Key misled the public over mass surveillance by spy agencies. The date of the alleged email places it right in the midst of negotiations over The Hobbit, which saw the government change the law and grant concessions to keep the making of the trilogy in New Zealand. It is also smack in the middle of key dates relating to the granting of Dotcom’s residency – a decision opposed by intelligence officials who screen immigrants but passed by Immigration officials amid talk of “political pressure”. Dotcom has claimed he was a bargaining chip used in the deal with Warner Bros. The alleged email reads: “We had a really good meeting with the Prime Minister. He’s a fan and we’re getting what we came for. Your groundwork in New Zealand is paying off. I see strong support for our anti-piracy effort. “John Key told me in private that they are granting Dotcom residency despite pushback from officials about his criminal past. His AG will do everything in his power to assist us with our case. VIP treatment and then a one-way ticket to Virginia. The recipient of the alleged email was said to be the MPAA’s Asia-Pacific president Michael Ellis, who has previously figured in the conspiracy Dotcom has claimed led to him being entrapped in New Zealand. The email largely backs up the theory Dotcom has pushed for almost three years after being arrested in 2012 on behalf of the FBI on charges of criminal copyright violation. Dotcom had claimed earlier this year that Tsujihara had him followed in Hong Kong. 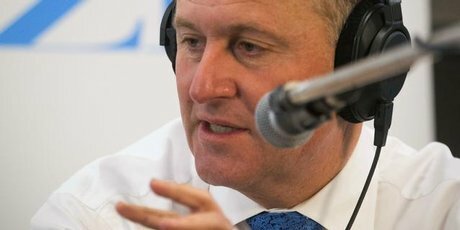 Mr Key has previously dismissed claims of a conspiracy and said he had no knowledge of Dotcom before January 19 2012, the day before the tycoon was arrested by NZ Police acting on behalf of the FBI. It is dated the day after Mr Tsujihara met with Mr Key to discuss The Hobbit and dated the day before the decision to grant Dotcom residency on October 28. The decision to make Dotcom a resident – allowing him to move to New Zealand – came after resistance from the Prime Minister’s Security Intelligence Service. The SIS screened Dotcom as part of the residency process and discovered the FBI was in the process of investigating the tycoon. Emails obtained by the Herald under the Official Information Act showed the objections were over-ruled, with the spies doing the screening believing Immigration staff were under “political pressure”. Dotcom has previously claimed Mr Ellis, a former Hong Kong police superintendent with extradition expertise, had a role in the case against him. Records show Mr Ellis met with Justice Minister Simon Power on copyright issues prior to the 2011 election. He was also present at a meeting between US vice-president Joe Biden with Hollywood executives and the MPAA’s president Chris Dodd in July 2011. The MPAA ridiculed the suggestion, saying the meeting with Biden was to discuss getting films into China.